Two prominent agents and Club Brugge’s Ivan Leko were detained, although the coach was among six later released. Two games are under suspicion – involving Mechelen, relegated on goal difference, and Eupen, who survived. Those matches are Eupen’s 2-0 defeat by Antwerp on 3 March, part of the penultimate weekend of the regular league season, and Mechelen’s 2-0 win over Waasland-Beveren on the final weekend, on 11 March. 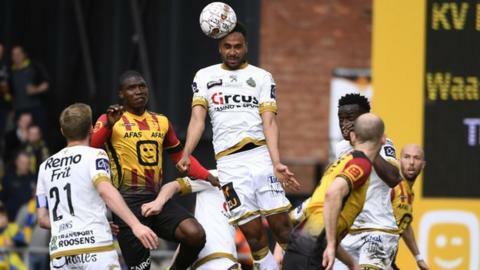 Despite Mechelen’s victory, they were relegated, while Eupen scored four goals in the last 20 minutes against Royal Excel Mouscron to win 4-0 and survive.